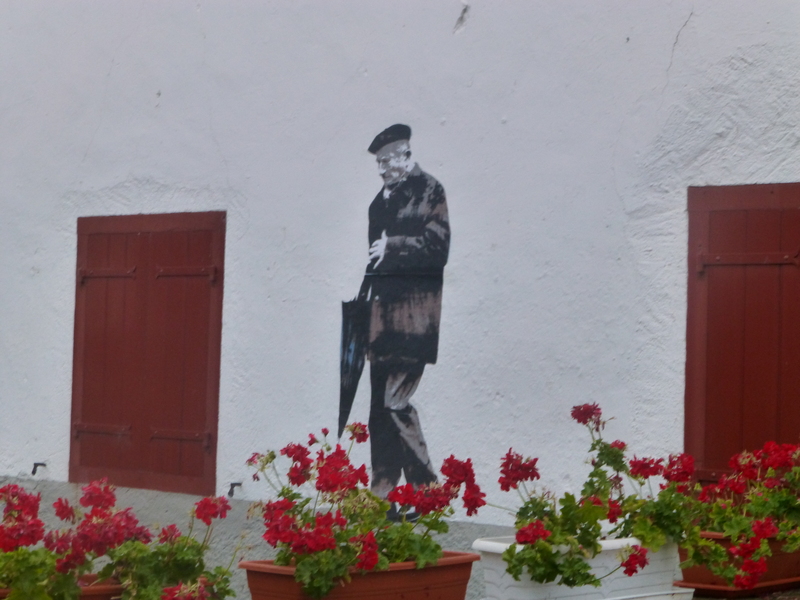 Only two days on the road and already comfortable in the company of my first camino “family”, I faced a dilemna: I could stay overnight with them once they caught up with me in Zubiri or carry on walking another 8km to Larrasoaña, the next town. I wasn’t ready to stop for the day but I didn’t want to walk on alone either. I paused in the square to consider and check my feet for blisters. Then around the corner came a lone pilgrim intent on another two hours walking. Would I go with him? I strapped a plaster on a potential blister and we set off at a brisk pace, talking all the way. The outskirts of the village were industrial and ugly and we had to circle a magma plant and quarry but the conversation was good, the time flew by and I forgot all about my feet. By that evening Donald and I were firm friends, along with Australians Doug and Pam (who’d already heard a Scottish Renga was on the road), Suzanne from Colorado, Irish John and Ramon from California. 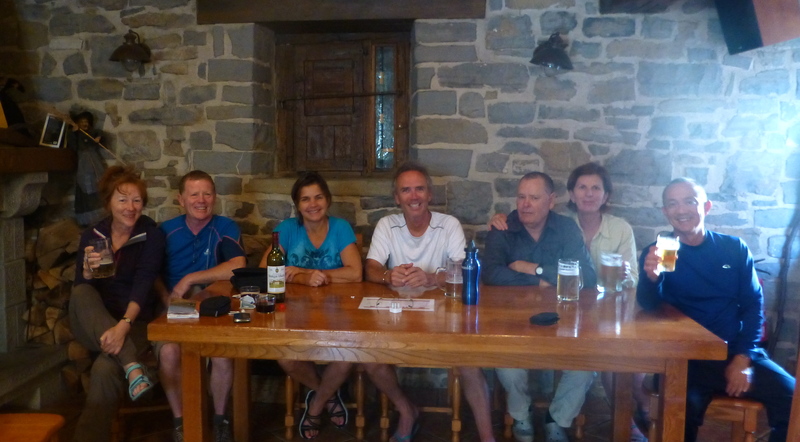 These were the folk who would form the core of my extended family for the rest of the camino, and beyond. I don’t remember what we ate that evening but there was constant laughter and it was one of the best nights of the month. The reserve “overflow’ albergue was probably the most basic we’d ever stay in and the view of the spider-strewn skylight above my bunk will haunt my dreams forever. But Donald left chocolate on my pillow and Ramon charged my camera with his cable. I fell asleep feeling I was already amongst friends and knowing I’d made a great decision back in Zubiri.